Moving to Tacoma is a great decision, so use your trusted local movers at Gigantic’s Tacoma Movers to help you each step of the way. As a thriving and multi-faceted urban city with multiple sports teams and points of interest, you’ll find yourself excited at every turn in your new Tacoma home. 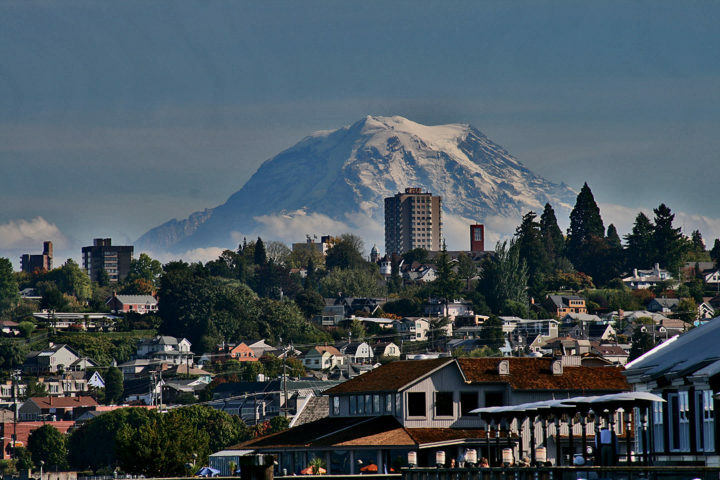 As the third largest city in Washington, Tacoma is a bustling mini metropolis. Gigantic’s Tacoma Movers know the area inside and out and provides outstanding service for your residential or business move. Slip into the city seamlessly and give yourself time to nestle into your surroundings. Adrenaline junkies will find what they need at one of the local sports arenas. Tacoma boasts six pro and semi-pro sports teams. Go out and cheer for the Tacoma Rainiers baseball, Tacoma Knights hockey teams or find your place in the stands among the soccer and football fans! Take it a bit easier on the weekends if you need to de-stress. The multiple farmer’s markets have something for everyone, and the arts are strong from Ballet to the Symphony. While moving to Tacoma will give you a rich cultural experience it also lets you build your career to the level you want it. With top international companies setting roots in Tacoma you’re sure to find your niche. For those who still want to grow their knowledge, the city holds a variety of higher education institutions including the University of Puget Sound and Corban University. Whatever you’re passionate about, one of the eight colleges and universities will have something to get you where you need to be. And when you’re jumping from home to work or school, you’ll find it easy in Tacoma with the busses commuter rails and light rails at your service. You can hope around the city however you choose while the experts at your local Tacoma movers take the quickest route to your home, bringing your items safely and quickly to your front door. With a revived downtown, the city has gotten a great makeover. Places like the America’s Car Museum and the Museum of Glass will have you in awe, and the brilliant parades that stream through the streets of downtown will have catch your eye from start to finish. Enjoy Tacoma as your new home with Gigantic’s Tacoma Movers by your side. Your items will be safely brought right to your door, so you can get started in a heartbeat. Rich with opportunities for growth, learning and career, Tacoma is a great place to settle down. Of course you don’t have to settle down completely, with the lively nightlife and cultural hotspots, there’s plenty to keep you busy in Tacoma. Learn more about Tacoma here Tacoma Gov.